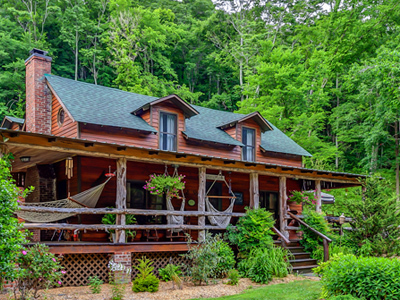 Butterfly Hollow is a Nashville Bed and Breakfast for those that love nature, want a romantic escape, or just need a few days away. It’s for those who love the quiet. It’s for the star gazers, hummingbird lovers, and firefly catchers. Renewal and rejuvenation begins here! 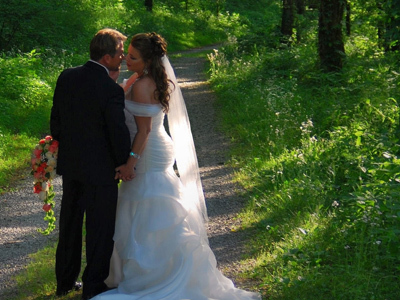 Being a Nashville Bed and Breakfast, Butterfly Hollow is the perfect place to relax, unwind and escape everyday life. The comforting wooded sanctuary begins as soon as you drive down the tree lined entrance, intensifies as you step onto the covered porch and captures your soul walking through the front door. Designed to encourage some distance between you and the outside world, Butterfly Hollow offers incredible views of meadows, mountains and, of course, butterflies! Weekends that include either a Friday or Saturday night require at least a TWO-NIGHT stay. 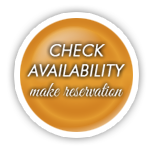 Occasionally, exceptions can be made and are noted on our reservation page when booking. Please call or email (relax@butterflyhollow.com) for details if you are requesting one night and need assistance. In addition our Inn is not suited for children under the age of 12. Please review our Bed and Breakfast Policy Page for further details. The Inn hosts breakfast each morning and is ideal for afternoon or evening gatherings. Featuring an open floor plan, breakfast is steps away from each guestroom. Whether you enjoy our intimate fireplace during the winter months, numerous hammocks suitable for an afternoon nap, or nature’s wildlife in our quiet country retreat, you will feel the weight of your everyday life leave your shoulders. Come experience luxury of unaccountable time at Butterfly Hollow Bed & Breakfast! Butterfly Hollow Bed & Breakfast offers 3 rooms and private baths. Check availability 24 hours a day. Rates range from $159 to $209 per night, and includes a hot breakfast with a variety of juices, breads, and seasonal fruit. For those needing to leave early or wanting to sleep in, a continental breakfast is available. This is the Inn’s largest room and a favorite for anniversary or honeymoon guests. Located on the first floor, Leyton’s Porch features a custom made queen size cedar log bed, barn wood furniture, and a private screened-in porch. With its adjoining bathroom and spacious bedroom you’ll sleep like you’ve never rested before. Located up the aged oak staircase on the second floor, the Attic offers a queen size bed, private adjacent bathroom, and a small sitting area to unwind from your days activities. As you awake each morning, the Cumberland foothills and surrounding trees allow a panoramic view just outside your window. Overlooking large cedar posts, plank walls, and views of the main gathering area of the Inn, the Treehouse offers a queen size bed with down topper and private bath. Enjoy the outside view of our open fields, gardens, and rising foothills of the Cumberland Mountains. Butterfly Hollow Bed and Breakfast has a collection of full hot breakfasts, alternating savory and sweet daily. Breakfast is served from 8:30am – 9:30am in main kitchen at a community table encouraging great conversation and making new friends.Each morning begins with a selection of fresh seasonal fruit followed by a generous plated hot entree. In addition we offer an assortment of cold cereals, homemade breads, muffins, as well as coffee, tea, and cold beverages. A continental breakfast is available for those needing to leave early or take in a few extra minutes of sleep.Please let us know if you have any allergies or intolerances. 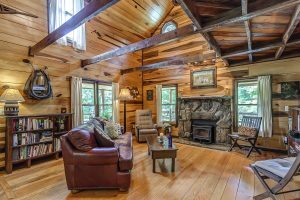 Our two bedroom log home is ideal for small gatherings to include friends and family. 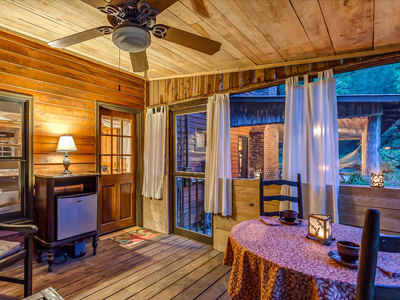 Separate from the Bed and Breakfast, the Log Cabin Vacation Rental offers the beauty and peacefulness of Butterfly Hollow. Our fully stocked kitchen allows you to cook your own meals. For additional information please Click Here.